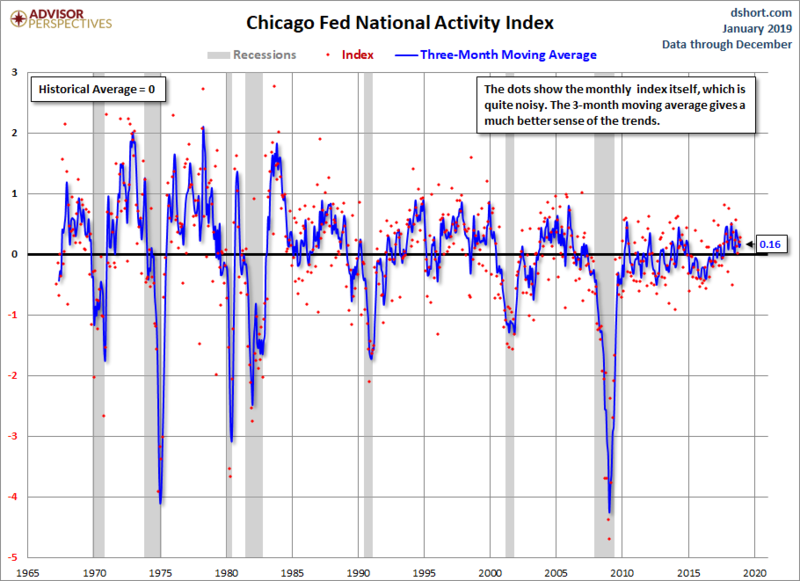 The Chicago Fed's National Activity Index (CFNAI) is a monthly indicator designed to gauge overall economic activity and related inflationary pressure. It is a composite of 85 monthly indicators as explained in this background PDF file on the Chicago Fed's website. The index is constructed so a zero value for the index indicates that the national economy is expanding at its historical trend rate of growth. Negative values indicate below-average growth, and positive values indicate above-average growth. The first chart below shows the recent behavior of the index since 2007. 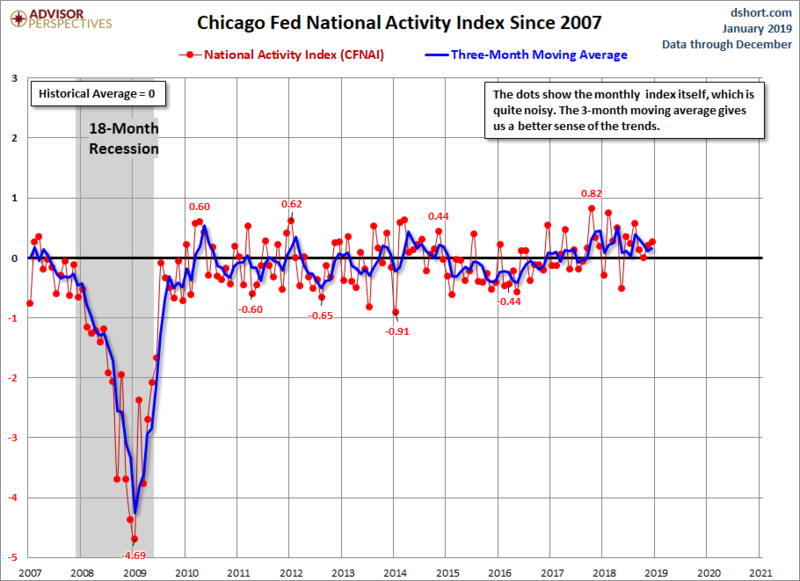 The red dots show the indicator itself, which is quite noisy, together with the 3-month moving average (CFNAI-MA3), which is more useful as an indicator of the actual trend for coincident economic activity. For a broad historical context, here is the complete CFNAI historical series dating from March 1967.